Product prices and availability are accurate as of 2019-04-18 22:47:45 UTC and are subject to change. Any price and availability information displayed on http://www.amazon.com/ at the time of purchase will apply to the purchase of this product. 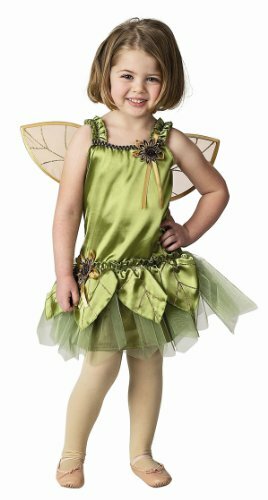 This Backyard Fairy Costume will come with the wings! 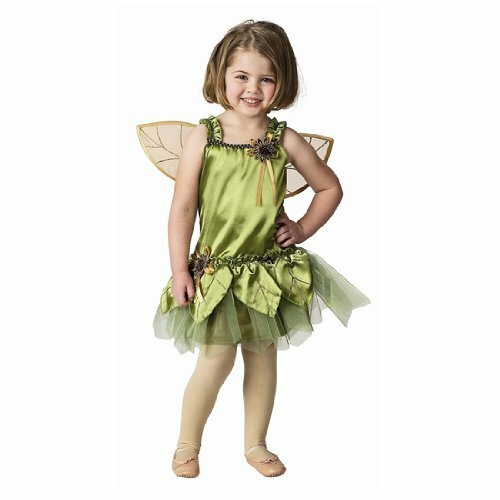 This is really the perfect green fairy costume! Includes: Dress, Wings Colors: Green, Gold Available Sizes: Toddler 2-3 (Weight: 25-33 lbs; Height 32-36"), Child 4-6 (Weight: 32-50 lbs; Height: 35-44"), Child 6-8 (Weight: 48-62 lbs; Height: 42-50") Delivery/Shipping from all Amazon Marketplace Merchants: Please remember to ADD the Availability/Processing Time (if "In Stock" this is usually 1, sometimes 2 business days) to the Transit Time to estimate delivery. Availability Time + Transit Time = Total Business Days to Anticipate Arrival.